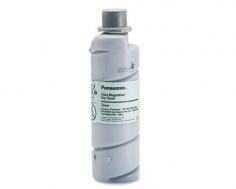 The Panasonic DP-4510 is a large all-in-one unit with many options and potential outlets for expansion. Though in some respects it now lags behind its competition, it offers high speeds and can fulfill almost any task needed of a paper workstation built to process grayscale media. The base DP-4510 measures 23.6" by 29.8" by 35.4" and weighs 289 lbs. This is a standalone unit with its own wheels and is as large as a piece of furniture more than it needs to be placed on or stored inside furniture. However, it does occupy a great deal of space. Newer units may fulfill many of this one's functions in a smaller, more lightweight design. The copier has a high output speed at 45 pages per minute. It produces copies at a maximum resolution of 600 by 600 dpi and can reduce or enlarge documents at sizes between 25 and 400% in 1% increments. It also can produce 1-999 copies at a time. 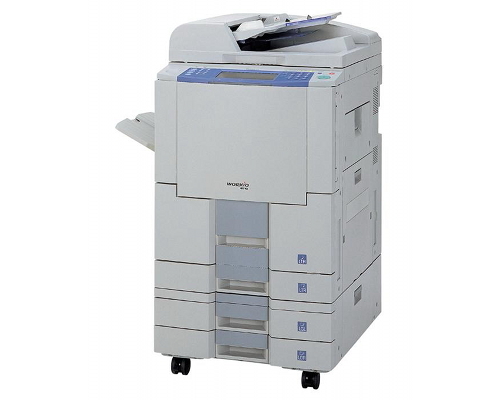 The copier has 32MB of memory, upgradable to a maximum of 160MB, with an optional hard disk drive also available. Do note, however, that this adds another moving part and potential failure point to the device. This is one place where the DP-4510 shows its age considerably, as newer devices often support significantly larger amounts of memory, often at least triple this unit's maximum. The printer has 20MB of memory of its own. The unit has a standard capacity of 1550 sheets and 550 sheets in a large-capacity tray and its standard tray, respectively. By installing four large capacity trays the printer can store 6250 sheets of paper at a time, well over most offices' daily -- if not weekly -- paper needs. It also includes an automatic document feeder with a maximum capacity of 70 sheets. The largest paper size supported by the unit is A3, 11" by 17". The printer maintains the copier's high output speed at 45 pages per minute, but has a higher resolution, able to print images at 1200 dpi by 600 dpi. The scanner can capture images at a maximum size of 600 dpi by 600 dpi. The fax system consists of a 33.6kbps modem with 2 MB of memory (expandable to 10 MB). It can automatically dial as many as 200 numbers at once and can transmit documents at a maximum resolution of 600 by 600 dpi. The unit supports 10Base-T/100Base-TX networking via Ethernet and has a IEEE-1284 Parallel port. Though it lacks a USB port, it can be interfaced with non-Legacy systems over the network. Along with the fact that Panasonic is still producing drivers for newer operating systems, this ensures that the printer has at least some longevity even now. The unit's scanning/fax systems include send to email and internet fax capabilities, though improved versions of these with additional features exist in newer, comparable models. There are many paper finishing options available for this unit, including a saddle-stitch finisher, a hole punch unit, 2-bin variants on both of these, accounting software to measure paper usage, and a network scanner module. 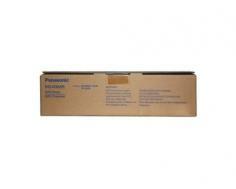 The DP-4510's printing engine can be easily removed to resolve paper jams. 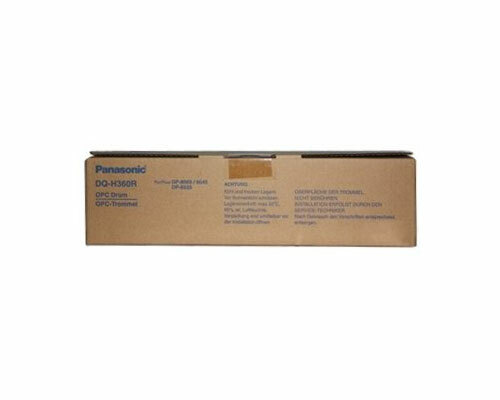 Panasonic Check & Call software is also built into the printer, which allows it to report either mechanical failures or low toner to service centers. Newer models like this one offer many features absent in this unit in smaller assemblies, such as full color scanning, printing, and copying. Maxing out this printer's paper capacity will bring its weight up to well over 300 lbs, likely difficult to be easily moved around almost any environment without disassembly. Newer models also offer higher resolutions for almost all of this unit's functions, up to 1200 or 2400 dpi. 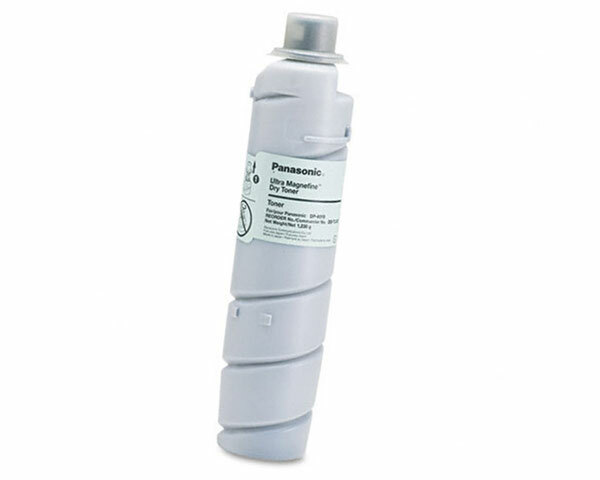 Review it: "Panasonic WORKiO DP4510 "
The DP-4510 requires replacement of its toner cartridge, its drum, and its developer. Toner requires replacement every 24000 pages rated at 5% yield while both the drum and developer need replacing every 240000 pages rated at 5% yield, effectively necessitating replacement every 10 toner cartridges. This will ultimately require more maintenance, but will bring down costs as the components can be replaced separately.